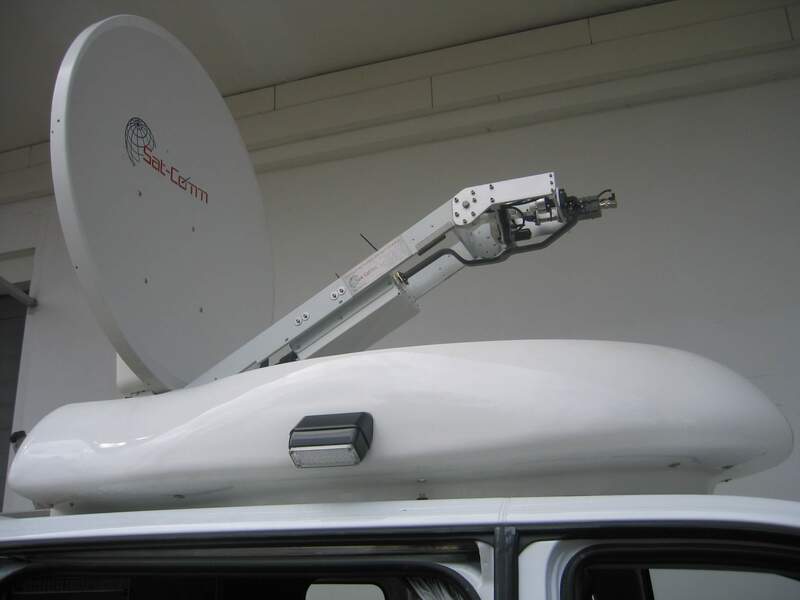 The AuraSat SNG is an advanced range of auto-acquiring vehicle mounted Ku and C-band antenna systems. 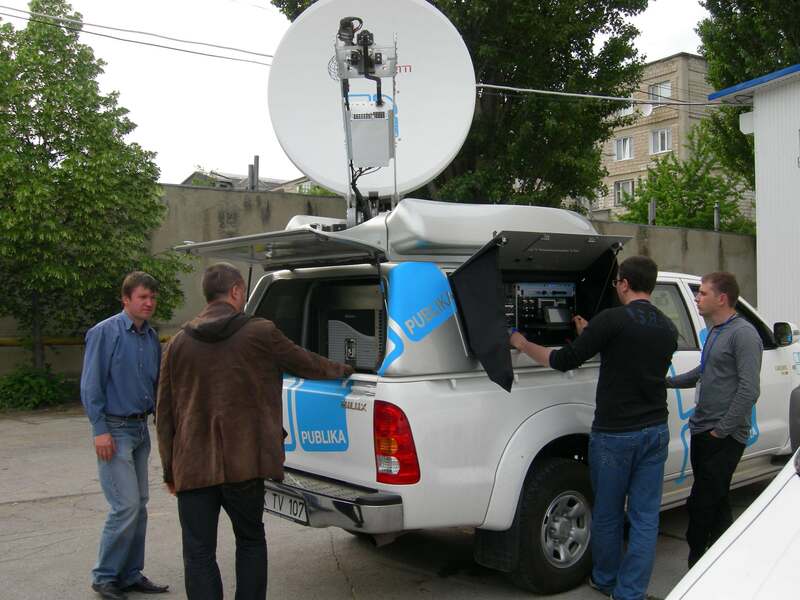 AuraSat antennas are an easy to use, light-weight and cost-effective solution for modern Satellite News Gathering applications. The range uses the RC4000 antenna controller from RCI making pointing to any visible satellite quick and reliable. An optional upgrade package for the controller adds a single axis compass, GPS receiver and DVB receiver to enable satellite auto-acquisition. These lightweight and streamlined antennas are able to be mounted onto most vehicles and make minimal impact on their driving characteristics. These sophisticated and cost effective systems, are capable of supporting the most demanding of SNG applications, and are available on all of our SNG vehicles.